Error: The tags Brand is/are disabled as Variant. 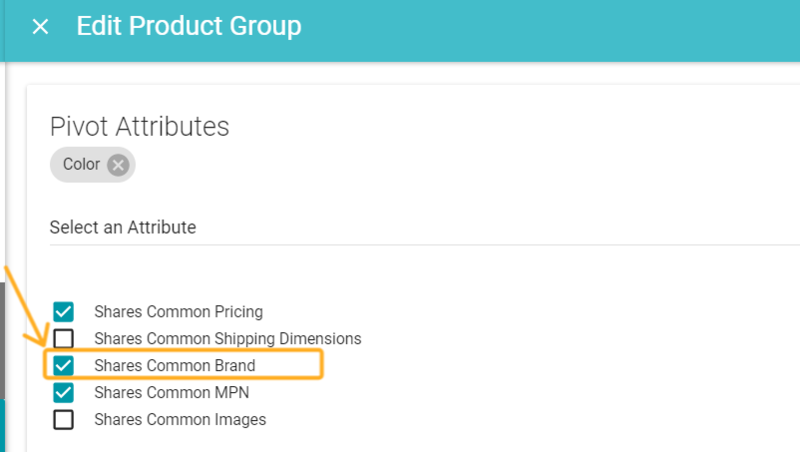 If you see this error, verify whether you have the option for "Shares Common Brand" checked for this product group. If this is unchecked, eBay is likely indicating that your listing cannot have brand as a variation. If all products should have the same brand on Zentail, please make sure that brand is filled out for the Master SKU, and then check the "Shares Common Brand" option on the Edit Product Group view. If the above instructions do not resolve the issue, please verify the variant option or "pivot" you have set for the product group. It is likely that you have selected "size" or "quantity" (may also be size) which is no longer a valid eBay variant option for your eBay category.